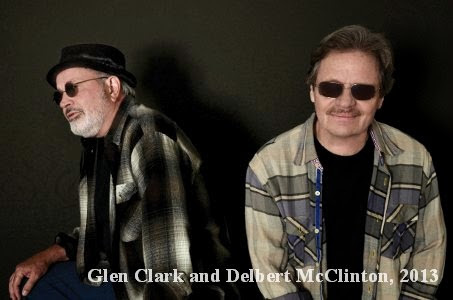 Indeed for more than five decades McClinton, 72, has patented his own brand of roadhouse blues, R&B, rockabilly, and country with a hellraiser’s exhilaration and a troubadour's introspective soul. An indefatigable live performer, he first hit the stage in the nightclubs of his native Texas, singing and blowing harp and even backing such mythic bluesmen as Sonny Boy Williamson, Howlin’ Wolf, and Jimmy Reed on occasion. He got his first break—at least his harmonica playing did—by way of the 1962 Bruce Chanel hit, “Hey Baby,” but hitting the big time was no sure thing for the next several years. 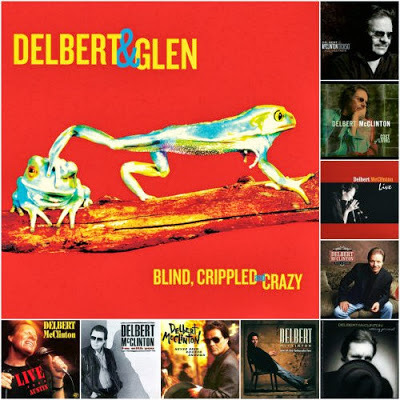 Still, while he produced some of his most definitive material during this rather tentative period—he penned songs like “Two More Bottles of Wine,” “Victim of Life’s Circumstances,” and “B-Movie Boxcar Blues,” while such artists as Emmylou Harris and The Blues Brothers rushed to cover them—it wasn’t until the dawn of the ‘90s, beginning with a string of albums (I’m With You, Never Been Rocked Enough, Nothing Personal) that McClinton truly found his groove. How did making this new album with Mr. Clark compare to the ones you made with him 40 years ago? I think it was better. We knew more what we were doing this time. It all happened so naturally. Glen and I have always just been able to sing together, and I never doubted it for a minute that it would work because he’s the only guy that I’ve ever really been able to sing and do harmonies [with] that, I think… Well, it stirs me inside when we sing together—that’s the best way I could say it—and I don’t get stirred much anymore. Was singing and writing songs always in the cards for you? Singing came as natural to you as anything. It did. It’s as natural as breathing. A lot of people think they can sing when they can't. Was there something that let you know you really could sing well? Yes. It made me feel so good. It was an outlet for me beyond anything I’d ever known—and still is. I recognize that. I didn’t know what it was in the beginning, but I recognized it as something that sustained me, so to speak. I mean, during hard times I could pick up a guitar, go and get off somewhere by myself, play and sing and make everything better. I still can most of the time. What drove you to go from solely being a singer to a songwriter? What was the catalyst? I reached a point where… Writing a song is just where you make money, not singing other people’s songs. So I started trying to dig in a little deeper. Then when I moved to Nashville in ’89 I hooked up with a longtime friend of mine—used to be in my band—Gary Nicholson, and he and I started writing together all the time. That opened up a whole new avenue for me and it has just grown from there. It put me over a hump. I was coming out of a divorce and the IRS had taken my house in Texas, and I’d come to Nashville to try to turn it around. Because I knew more people from Texas in Nashville that I wanted to be inspired by and hang out with than I did in Texas. And there just wasn’t anything going on in Texas, not for somebody who wanted to do what I wanted to do. But in Nashville there’s a studio in every corner and all the publishing companies… You can write a song and put it right in the artist’s hand within 30 minutes of writing it. It seemed like a good place to be. So that’s where I moved, and I did turn it around. It worked. It’s still working. In fact, it’s getting better. What drives you at this point to keep writing, to keep creating your own music? I’ve spoken with songwriters who are actually reluctant to reveal themselves in what they write. I’ve never thought of that. I do my best to reveal what I feel in songs. That’s the beautiful thing about words, man. There’s so many ways to use them, and I love words. I just love words. Words are music. There’s so many variables, you know? I’ve always been someone that does not necessarily use proper English. But proper English used properly is poetry. When I write songs I’ve always written the word the way I’m gonna pronounce it because, well, it’s just the way I talk and the way I hear it. It’s the accent, I guess, and I sing like I think. Yeah. Well, I’ve always used “ain’t” and never for a minute thought it was wrong—still don’t until someone points it out. It’s just part of my vernacular. Not that I try to sound like a hillbilly all the time, but everybody I know uses “ain’t” just like it’s a word. It’s especially good for expression. And who says it’s not a word, you know? Sure has been a word all my life. Because you cover so much ground stylistically—rock 'n' roll, gospel, R&B, blues, country, folk—do you see what you do as blurring those distinctions or do you not pay any mind to such distinctions in the first place? If I find a song—I don’t care what kind of song it is—if I believe I can do it, if I want to do it, I can do it. And it moves all through those influences that I’ve got. It just happened that way. I didn’t ever sit and think, “I’m gonna try to do this to that,” but at the same time I always get two visions of things. For example, an album I would like to make that I haven’t done would be “Jimmy Reed singing Hank Williams songs and Hank Williams singing Jimmy Reed songs.” That’d be fun! To sing in those styles, you mean? Yeah, Hank Williams in Jimmy Reed style, and Jimmy Reed in Hank Williams style. It’d be so much fun. The songs just work. Jimmy Reed’s music and Hank Williams’ music is the same thing; you just use a little different instrumentation and put emphasis on different syllables. It's a popular notion that the great artists turn out their best work in their youth. Then there are those like yourself—Tom Waits and Buddy Guy also come to mind—who improve with age and experience. Well, I agree with you, and that is something that I hold so incredibly dear. I believe that I have not only done what I’ve wanted to do, but done it my way and gotten better at it. That’s a great place to be. It just makes for a good life. Like I said, I’ve been a really lucky guy because I never sold any records until I was 53 years old. That part of my life was the beginning of the best part of my life. I’m loving this, going through the changes. Everybody should be lucky enough to live as long as I have and be happy. Blind, Crippled, and Crazy is available now on New West Records. 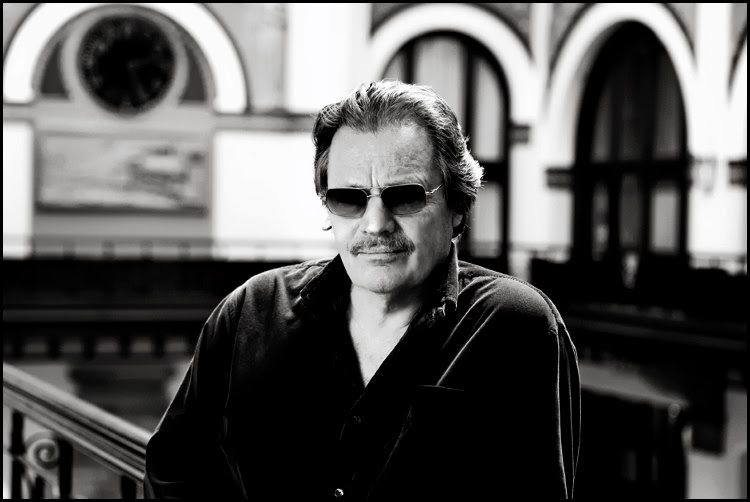 For more information on Delbert McClinton, please visit the artist's official website.